More and more GPS tours on handhelds and in rental cars are being offered all throughout the world. Many vacationers are finding GPS tours and GPS systems to be highly problematic, however. 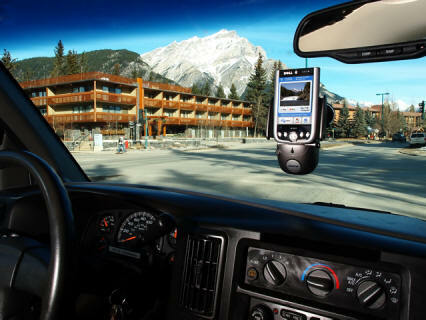 Many Canadian Rockies visitors discover that GPS tours and GPS systems can go in and out because of the mountainous geography and elevation. This is especially true when touring British Columbia (BC), Lake Louise, Banff, Canmore, Jasper and other alpine areas in the Rockies. Keeping and maintaining reception can be a huge issue. Often GPS tours will require additional hardware hacking to make them usable in this terrain; this is also the case with satellite radio as well. Your best bet: simply enjoy the grand scenery of the Canadian Rockies and then curl up with a good book! Blake Baily is a tourism and travel editor who has written for Frommers, Trip Advisor and Moon Guides.